Home » Bizarre News » UFO sighting in Cape Town leaves Twitterati in a shock! People in South Africa were dumbfounded after they spotted an Unidentified Flying Object (UFO) flying over Cape Town. Various people tweeted pictures of a green light that could be seen through the clouds and '#UFOSA' was trending throughout the day, News 24 reports. Some people also believed that it was a presidential VIP Jet. "Relax people, it was just a test flight of the #GravyPlane. #UFOSA #ZumaJet," said another user. 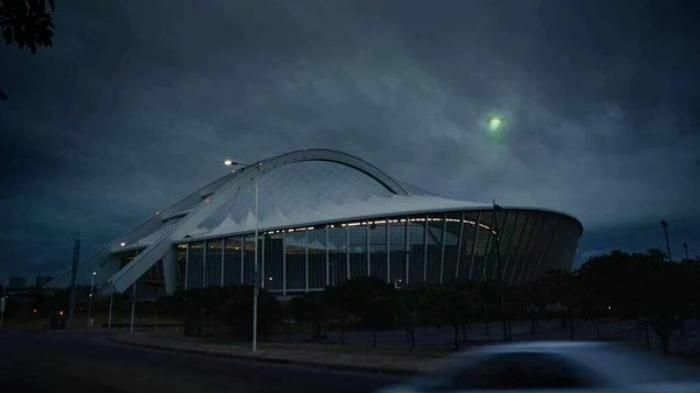 "UFO seen in Cape Town; green lights and all. Is this real? Who else saw it? #UFOSA," tweeted a user. One confused user said "Wait, what!? Did anyone see this weird thing in the sky? Or was it just me? #losingmymind # UFOSA."